Jurgen Klopp says he has been pleasantly surprised by goalkeeper Alisson since his £65 million move from Roma, because he is even better with the ball at his feet than the German realised. Apart from one blip against Leicester City, Alisson’s technical ability has been a huge advantage to Liverpool, most recently when the Brazilian set up the move which led to the fourth goal against Arsenal last Saturday with a brilliant pass. Klopp told ESPN Brasil: “It was always very clear that he was a very influential player with the ball, but that he’s this good I didn’t see it, honestly – maybe because of a different style Roma played. 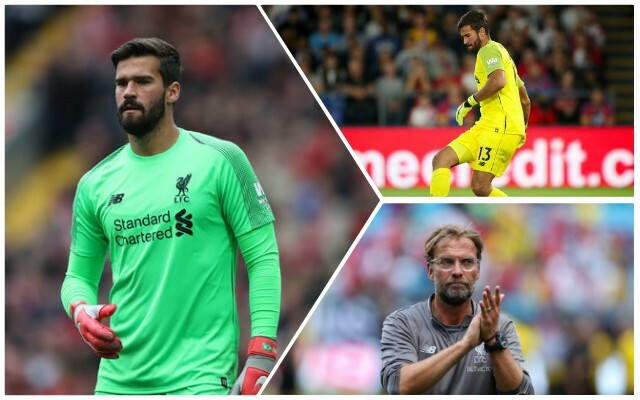 The Reds needed a goalkeeper over the summer and appear to have played a transfer market blinder once again. Alongside his exceptional footwork, he has kept 12 clean sheets in the Premier League so far. Alisson has been brilliant and is such a huge upgrade on anything we have seen for the last few seasons. Even at a then world-record fee, he has proven to be an absolute bargain.